Today was a very busy day at Camp Jeanne d’Arc. 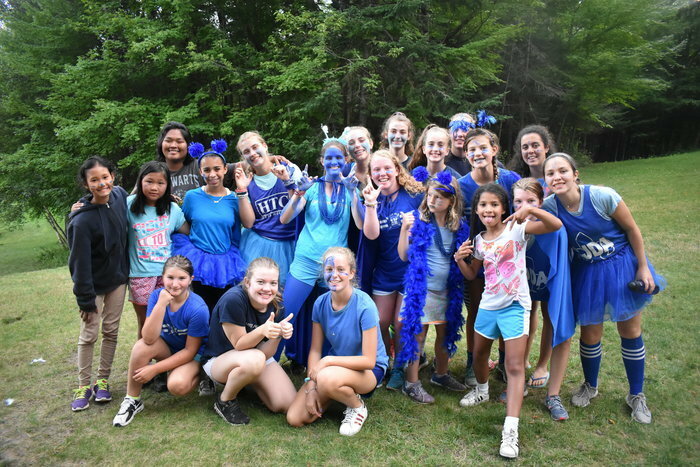 Not only did we have 12 girls out on a super fun motor trip to Lake Placid, we had a plethora of activities offered at camp. The weather was perfect for morning activities including canoe, sail, ride, fishing, field hockey, BBs and archery. The warmer temperatures were welcome. With a small film crew here at camp, there was added motivation to perform our best in activities. Stay tuned to our website for a brand new camp video (Sept./Oct)! After yummy BLTs for lunch we had an exciting afternoon including soccer, karate, SPUD and mount. Shower hour was definitely in order after such a fun filled day. But it didn’t end there. We ended our evening with a thrilling game of Les/Jolis Capture the Flag. And the winner…The Jolis! Today’s banners for cleanest cabin go to the Bluebird and Parrot cabin! One step closer to Tasty Freeze! Another dreamy day here at CJDA!